Micah Ann Wixom is a policy analyst at the Education Commission of the States (ECS), a national nonpartisan organization that tracks state policy trends, provides unbiased advice to state education policymakers, and creates opportunities for state leaders to learn from one another. 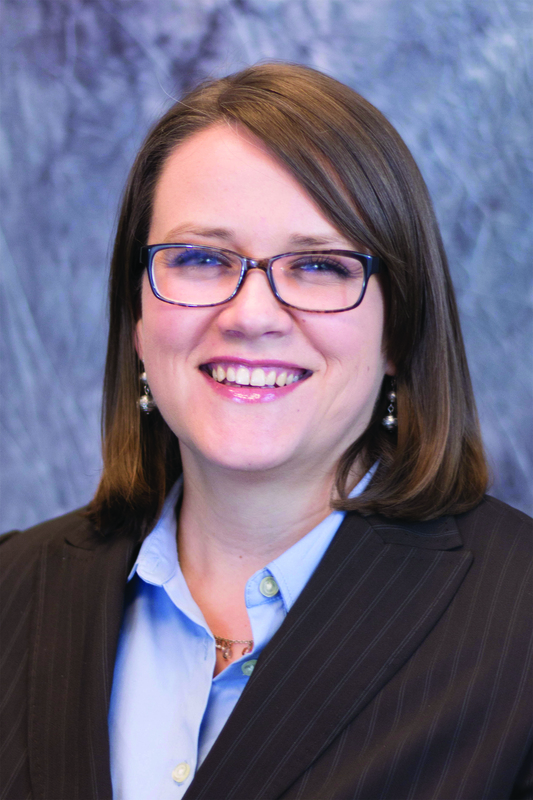 Prior to joining ECS, she worked for the Constituent Services Unit of the Legislative Counsel Bureau in Nevada, where she helped legislators respond to constituent questions and concerns. Wixom has also worked as a volunteer coordinator for Legal Aid Center of Southern Nevada in Las Vegas and as a performance auditor for the Arizona Office of the Auditor General in Phoenix. As I have worked with legislators and other state-level leaders who make education policies, I have found that they have differing levels of expertise in education policy—some have backgrounds in education or a great deal of experience crafting education policy, while others are new to the area. Regardless of their background, I have seen that these leaders really care about education issues and genuinely want to do what is best for the students in their state . That is why they need to hear from people invested in state education policy—like teachers, parents, and students—because these state leaders are making policies that directly affects these folks. That’s also why there are local, state, and national organizations, like ECS, that can provide help and guidance to legislators. I think every state legislator and policymaker and every state has different areas of education that are priorities for them. For some leaders and states, achievement gaps are a big deal, while funding is a main issue for others. I think issues around English language learners (ELLs) are also a growing concern nationwide, especially for states that haven’t traditionally had large ELL populations. To meet their needs, many states are looking for innovative ways to serve their students that are a little outside the box, like online schooling, and these new efforts are quietly growing. One thing we’ve seen in the growing opt-out debate is that situations vary from state to state. In some states, opt-out is a big deal and is gaining statewide attention and traction, while in other states it’s almost a non-issue. I think this variance is really interesting. It’s hard to say what this speaks to and why states differ so much on the topic, and at the end of the day, we’re not entirely sure why so many people in certain places are choosing to opt-out of standardized testing for their children. However, a lot of states are using this debate as an opportunity to rethink their testing strategies and how they are testing kids, what types of assessments they’re using, and if they’re testing too much. In the ECS mission, we talk about working across the P-20 continuum, and this is built into the work that I do. I think it’s important for us to understand that different phases of education don’t exist independently—for example, what happens in early learning affects kids in the long term. Working across sectors, both within and outside of education, is critical because we’re all connected and involved in the education and well-being of students at some level. Cross-boundary leadership comes with its own set of challenges, and I think it’s easy for people to get buried in what they’re doing and forget to stick their head up to see what else is going on around them. It’s important in any field, but especially in education, to recognize that issues don’t exist independently from each other. We must be able to involve people from other sectors, like health care and business, which can sometimes be difficult to do. One of the biggest leadership lessons I’ve learned is how crucial communication is. I’ve seen again and again that if a leader at any level can communicate well, they do a better job of building trust and confidence among their team and those they work with. Sometimes this communication also involves saying things that might be hard for people to hear, but it’s important to be able to do so in a respectful and constructive way. Some of my favorite leaders I’ve seen and worked with during my career have been those who are able to create a positive and safe environment. Too often we think of leadership as a grand act and leaders as very visible, vocal, and public figures. In my experience, the most effective leaders quietly create positive environments that help them do the work they believe in and encourage their staff to succeed. When I participated in EPFP, I was relatively new to the education field and to Colorado. It was a great opportunity for me to broaden my knowledge about education policy in a general sense, but also specifically related to what’s going on in my state. This was really important to me because much of the work I do is at a national level and I wanted more exposure to what was happening in the education field in my state and in my community. I really enjoyed being able to interact with all kinds of professionals in education, from teachers to principals to state-level education leaders. EPFP is valuable because it provides the opportunity for Fellows to connect with people who you might otherwise not be able to work with. I think that’s really important in today’s policy environment. We get so polarized and partisan about issues that it’s more and more difficult to build relationships with people outside of our area of work, but EPFP allows you to learn how to and begin to foster those relationships.